I have enclosed a pic of an anti aircraft gun, one which I've never come across before. It was in a museum, but the board was blank, obviously undergoing some sort of restoration! Can anyone please tell me the about the gun itself, was it in widespread use and where? Also about the trucks and were they made for this pupose? 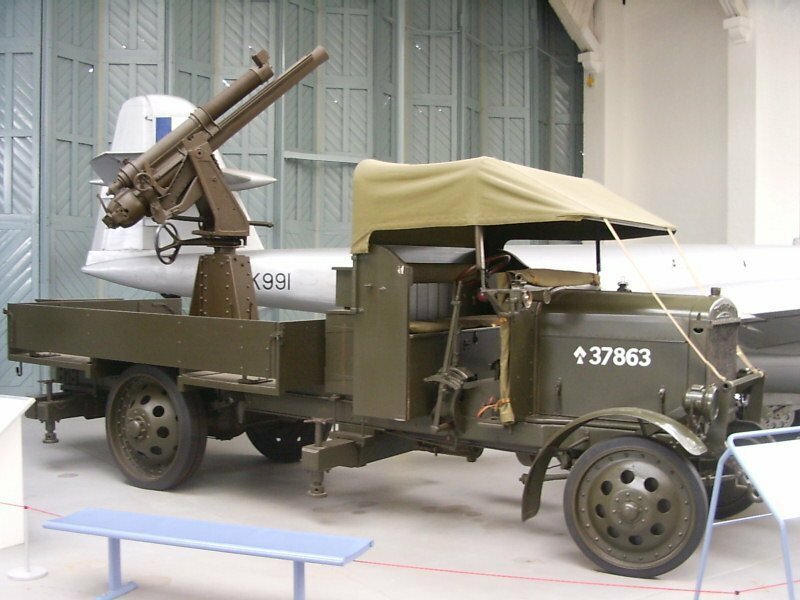 I don't know if it's the exact one, but the Imperial War Museum acquired one of the lorries with AA mounting in the early 1980s. It looked a bit grim when it arrived, but with expert renovation I'm sure it now looks just as good as the one you picture. It's a 13 pdr (used by the RHA) converted for AA use, I believe the ballistics were better on this gun than the 18 pdr which made them more suitable for this work. There was a modification to the breech to stop the shell dropping out! Not sure about the truck, but you're probably right. This was taken at the IWM Duxford, so could be the same one. Do you have any further info on the purchase, or any other info for that matter? Cheers Dave for that info on the AA. Was this a common thing to use as an AA gun ? Was it successful as an AA gun? I am unsure of the 13 Pdr's of the RHA but the mountain guns of the Hong Kong and Singapore Moutain Battery of the Camel Corps were used as AA guns a number of times during the war. I am yet to see any photos of this battery in that role or how they elevated and traversed their guns in the AA configuration but a section of guns were kept for that role while in camp in case attack by Taubes which happened quiet a bit in the desert. The truck is a Crossley. Steve, many thanks for the reply,... so they were used far more widespread than thought! Were they still fixed to the trucks, or on land? Would be interesting to see any photos of them in use and where they were!! Malcom...could you please elaborate on that...if prefable with any photos. I'm trying to build up a project on this and would appreciate any further info. There's one in this picture, if you look hard enough. And here's the Duxford Thornycroft again, with its side-boards down. It is a Thornycroft then? The info board was missing, as I said earlier, so couldn't make out what it was. Do you have any further info on it? 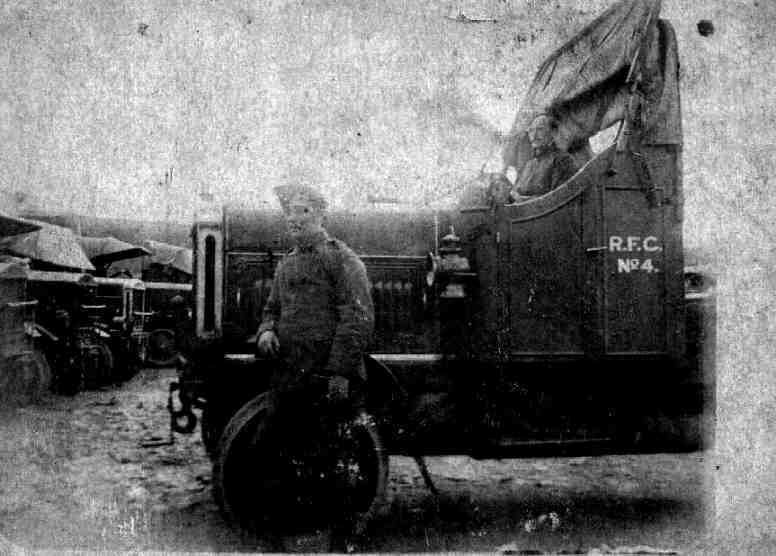 I think it's a Thornycroft model J truck with a 13 pdr on an AA mounting, but will happily defer to Malcolm if he can elaborate on his identification. Cheers Mick...are you 100% sure on the vehicle? Also would it be possible that you look at the previous posts and try to answer some of my previous q's...It would be a great help!! As for the effectiveness of AA guns, Fritz Nagel's book is worth a read. He was a German AA gunner. He notes that question marks were raised about the value of retaining the AA units, at least on the German side, but nothing ever came of this. Most interesting was the use of mobile AA guns in the ground support role. They played a role, albeit minor, is helping stop the British tank attack at Cambrai. Nagel describes an incident where his crew engaged a house containing machine guns during the late phases of the German Somme offensive in 1918. Must be the same vehicle as was acquired when I ued to work at the Museum - looks a lot better now than the derelict item which I saw arrive!!! 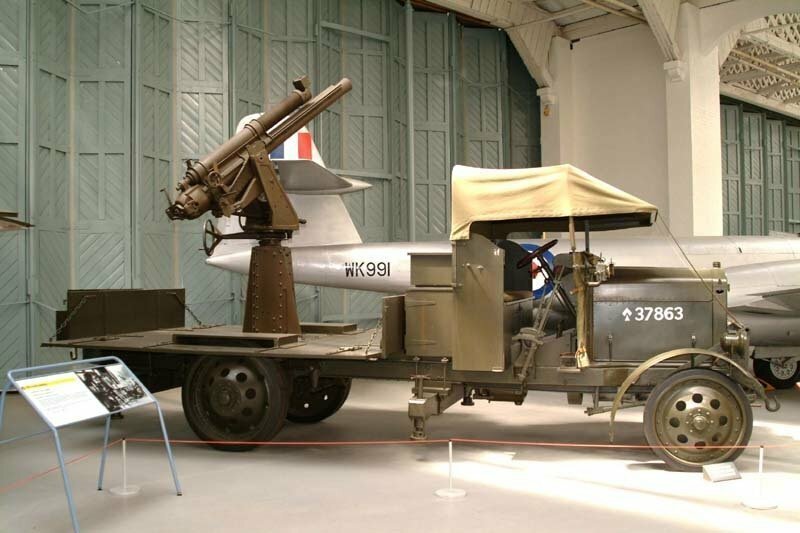 I know little of the history of the lorry - I left the IWM many years ago, and Exhibits wasn't my department anyway. Your best bet is to contact the IWM directly and they should be able to provide you with the facts. 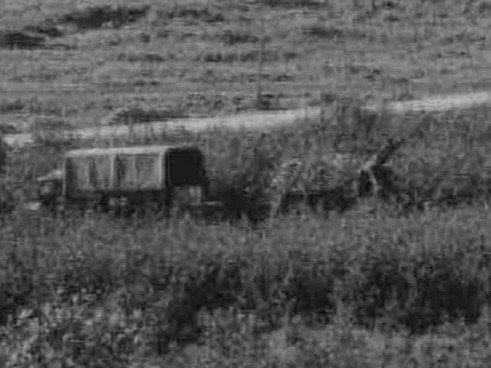 It would appear to be the Thornycroft from the evidence. Here is my Grandfather in a Crossley. I'm not a military vehicle expert and am relying on memory, having seen this truck both at Lambeth and at Duxford. 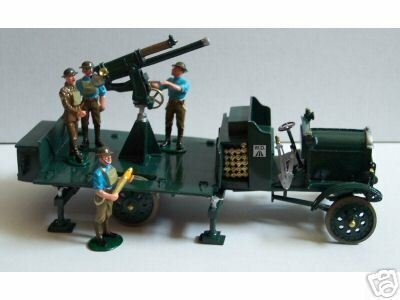 Googling around to try and confirm my recollection produced this post (#12) from 2004 http://1914-1918.invisionzone.com/forums/i...showtopic=21494 and the attached pic of a Brittain's model of the Thornycroft J with 13pdr AA. For absolute certainty, we need a head-on pic showing the name on the radiator, or confirmation from IWM. As to answering your previous questions, I'm afraid I can't - but hope that others will be able to, and will watch with interest. My notes show that in 1918 there were about 40 13 pds in the AA role per Army and another about 40 in L of C. The 13 pdr was, of course the field gun for the RHA. In its AA roles, lorry mounted, as the Mk 3 AA a ceiling of 17,000 ft and as Mk 4 AA ceiling 19000 ft. I think I recently saw a photo of the staff of a German division posing with one of these they had captured during the Great Spring Offensive in March 1918, or maybe one of the later offensives in 1918. I think it was in an e-Bay auction of Thomas Faust ("urfaust"), the German PC dealer who specializes in WW I military material a few weeks ago. Pardon the crass touting, but Thomas is a fine dealer and a gentleman. Thanks Garth - nice to know that my memory still works. I took my Duxford pic in 2003. This has been a very interesting topic....cheers everyone! This is a photo of 115th Anti Aircraft Section, Royal Artillery. 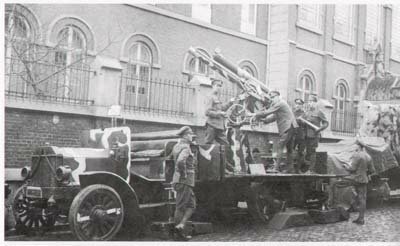 The gun is mounted on a Peerless truck. When it became apparent that the demand for trucks overwhelmed the supply from British maufacturers the War Office sought additional vehicles from overseas, many coming from USA, France, Italy and Swirzerland. Is that a 'staged photo' and if so where do you reckon it was taken? Were they used in the UK to try and shoot down the Zepplins...etc? Do you know of the country of origin of the Peerless truck? Excellent photo...many thanks for that John.